The hype surrounding Internet of Things (IoT) is gradually settling down. The business fraternity, nowadays, is more interested in its application and return on investment. If you are one of those, this is a must-read. Just spare 2 minutes and you will come to know that how every single penny that goes with IoT application development pays off. See how IoT scripts a new era of customer experience and business growth. What is customer experience (CX)? This is actually the perception that a customer develops in the course of his or her journey or engagement with a brand. What makes it significant? In the wake of the increasing brand rivalry, businesses are struggling to distinguish from the competition. Improving the quality of merchandise, offering competitive price and discounts are some ways, but there exist some limitations to them. Here comes into picture customer experience. It’s totally irreplaceable. Why is it so? We are human. A physical product has a warranty period during which it performs the best, but the experience gained with a product or service is not limited by such guidelines. You still cherish the moment that you spent with your first phone, no matter how simple it was. You cherish the memory of your best teacher. Isn’t it so? The same goes with the customer. He or she always remember the experience gained with a brand. A bit of statistics. On the Customer Experience Index from zero to 100, 507 companies that participated in a survey by IBM in 2017 could achieve the average score of 33. Thus, customer experience is in a dilapidated state, and retailers need to pull out their socks to satisfy and delight shoppers and keep themselves in the competition. Failing to do so not just means poor customer acquisition but reduced returning customers, and customer loyalty. How big is the problem? Quoting statistics from NewVoiceMedia, Shep Hyken, a contributor to Forbes, writes that businesses in the US are losing a whopping $62 billion annually on account of poor customer service. Shockingly, the figure has tripled since 2013. This means despite all the big digital innovation, retailers are losing the grip. So, there is really something rotten in the state of Denmark. Collecting and analyzing in-store data with the help of disruptive technologies including, beacons, smart shelves and virtual reality, retailers can easily discover the patterns of shopping and read interests, preferences and behavior of shoppers. The entire data can be centralized with the help of an IoT application. Furthermore, e-Commerce and m-Commerce data can also be pulled into to dig more into insights. 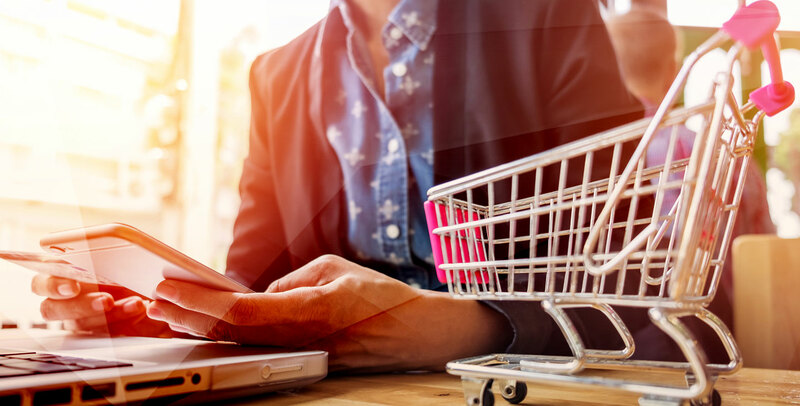 Retailers are increasingly relying on this business intelligence data to improve their customer engagement and acquisition strategy, personalize the experience of their shoppers and drive they cross-sell and upsell endeavor. This certainly helps them maintain a competitive edge. Suppliers, store managers, smart shelves, and logistics must be in constant touch with each other for the smooth functioning of a retail business. Luckily, Internet of Things in combination with sensors bridges non-living things (like smart shelves and logistics) and living beings (suppliers and store managers). Interestingly, the flow of information or the communication is totally bi-directional and on real-time, and helps the retailer to cope with the demand of its customers efficiently. Also, Internet of Things allows the supply chain to control external environment and execute decisions. What does it mean? For instance, when the quantity of merchandises on the shelves is about to finish, the shelves automatically trigger a notification, informing the store owner of the requirement. This communication is pivotal for logistics service provider that is required to provision the merchandises to the store from the manufacturer’s warehouse. People can be in the know regarding the status of the transportation or any obstacles and take desired actions to ensure the supply chain performs well and the goods are provisioned to the retail store on time. Unlike the past, today’s supply chain management software is IoT-based. This application has to speak to sensors tied with the physical objects, for instance, the shelves, connected by the Internet of Things. It demands a dynamic database along with machine-learning and AI (Artificial Intelligence) capabilities. Hence, IoT application development demands exceptional technical skills that blends all. Besides, the core, the user experience is also a critical aspect that must be taken seriously. Increasing user expectation is not the only reason for this. A retail business is often operated by people who have little or no technical expertise at all. So, it’s utterly essential that applications are easy-to-use and smooth in performance. Beating price and product innovation, CX stands as one of the key business differentiators. However, IoT application development for retail is a confluence of mobile, analytics, cloud computing, machine-learning and artificial intelligence. Hence, any attempt to renovate CX must be pursued seriously. Here comes the significance of hiring the right IoT developer.